Does the software offer a wide range of patterns that are adaptable when costuming? Do the patterns accurately reflect the measurements entered? Is it worth the money, or is it better to stick with drafting patterns or adapting commercial patterns? Yes. I own the basic Pattern Master Boutique module. 1. It has a wide variety of styles. Even so, with everything I have made I have had to do a fair amount of altering on the details - cuffs, pleats, godets - but no more than I would do on a commercial pattern. However - the program includes an editor so all of that can be done on your computer. Even if you have to draft an entire piece I think it's easier to do on screen rather than with paper and pencil (but that may just be a reflection of my techie-ness.) You can see exactly what designs they have by downloading the demo from [URL="http://www.wildginger.com/downloads/PMBDemoForm.htm"]here[/URL]. It will do everything the actual program does except save and print. You do have to register but I have never gotten any spam from them. 2. Yes. However, you must make a sloper first and getting the measurements right for that can take quite a bit of fiddling. For complicated things I still make a muslin. Depending on what needs to change from there, I will sometimes alter the paper pattern I have, sometimes alter the file and reprint. 3. I bought it on sale for $150 but even at $200, it would be worth the price - for me. I sew a lot and I sew for a lot of different people who are all different sizes. If I were only sewing for myself I don't know if it would be quite as useful. I don't think that the results are better than what I'd get drafting by hand, but for me it is definitely faster. Things you didn't ask, but I'll mention anyway! 1. The program is not hard to use but there is a significant learning curve. If you don't like playing around with apps it's not for you. If you are comfortable with things like Illustrator though you shouldn't have any problems. 2. The program assumes a fair amount of knowledge about patterns and sewing. 3. The customer support is outstanding. When I've emailed or posted a question in their forums I've gotten almost immediate responses. A couple of months ago when I was having trouble fitting a sloper, I had an exchange of about 6 emails over the course of two days. And this was not a problem with the program mind you - this was my own cluelessness about measurements and fitting. 4. I've downloaded the demos of some of the other modules but am not convinced that they are worth the extra cost. I have drafted men's wear and formal wear from the basic PMB. If I sewed a lot knits, that one would probably be worth it. But I don't so it isn't. 5. 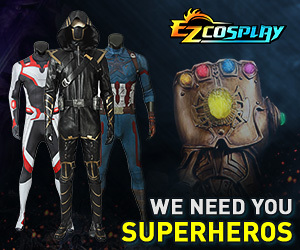 If you do decide to get it there are two tips recommended by [URL="http://www.cosplay.com/member/80480"]EasilyAmewsed[/URL] that I found to be hugely helpful. When printing out the pattern, use legal size paper and use a glue stick to put the pages together. Anyone have any experience with the Decor Computer 2010 (DC2010), the Magnolia 7330, or Thread Banger-30 (TB-30)? All three are made by Janome. If anyone could tell me what they personally like or dislike about any one of these machines, I'd be very grateful. @Hag: Thank you so much for your detailed response! It was immensely helpful. I'm going to download the demo and check things out a little bit, then make a decision from there. Thank you again; I really appreciate it! If the demo works out for you, you still might want to wait until about mid October to make a purchase... Wild Ginger will be coming out with Patternmaster Boutique 5 around then. More style elements being added. Not sure if or what changes to the CAD editor will be yet. About a month ago, i went to a store that mainly sells sewing machines around here seeing what kind of sewing machine i would like and one that would work for me as a beginner. the store person showed me a couple of machines from the babylock brand. she was going through everything and even showing me the functions and how durable it was on fabric [showed me on canvas and denim] i want to know other peoples opinion on the machines that own the brand. so far looking at them they seem like a real good machines i would just like to hear what other owners have to say about them. Brother CS-6000i and Brother SQ9000. What I'm wondering is, apart form having more stitches, is the SQ also sturdier than the CS? Extra stitches aside, is it really worth the extra money? I don't think I'll be doing anything insanely heavy-duty, like thick upholstery. But, I *might* work with PVC/leather (for the Zero Samus suit), and maybe a couple layers of denim (I might decide to make a denim jacket for everyday wear.) Which of these two machines will handle that better? Anyone have a Yudu? It looks so easy right out of the box but other than ink and that type of supplies what do you need with it? Results with transfers? I'm not sure if this is the right place to post it but does anyone know of a good iron? Requesting reviews on the Janome DC1050, Janome 7330, Janome 2222, and the Bernina 215. I'm not big of features. I just want a machine that can sew through most anything. (Lace, Leather, Canvas, Plastic...) Not big on features. Really like the Bernina 215 but having a difficult time convincing the pet human that the price is worth it. Currently have a Janome Travelmate with a busted engine. Loved it when it worked. I sew a lot. How about adjustable dressforms? The reviews on many sites seem to be 50% "This is wonderful! I'm a professional tailor/seamstress and I use this product every day in my business with no problems!" and 50% "Terrible quality, fell apart right away." That thing is complete crap. Do not buy that. Watch the commercial..They literally advertise it as being better than a normal sewing machine to fix drapes by having the woman hold the sewing machine up to the drapes and try to fix them while they are still on the window hanging, as if anyone with a brain would even do that in the first place..This little thing here shows that they don't know anything about sewing and should not be selling products pertaining to it..
Also it doesn't work anywhere near the way they tell you it does..It literally hardly works at all.. Thanks ill stick to my own one then.